To tackle challenges large and small, our world needs more strategic philanthropy. Women can lead this charge, harnessing their growing wealth and influence to create a more just, equitable, and healthy society. To unlock the full potential of women’s philanthropy, we must understand how gender shapes giving behavior. To build a powerful and diverse force of female philanthropists, we need to understand more about what drives women to give. The Women’s Philanthropy Institute exists for that reason: to conduct, curate, and disseminate research that grows women’s philanthropy. Want to learn more? Sign up below to stay up-to-date with the latest research on women’s philanthropy. 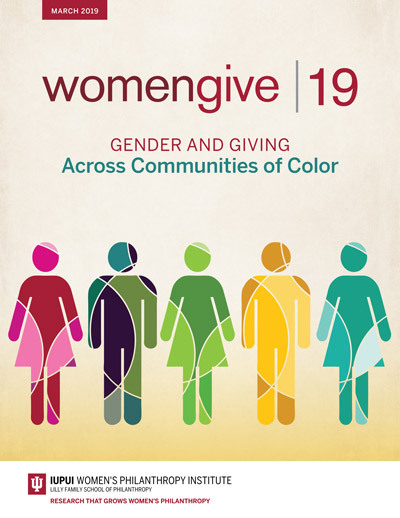 This report finds that generosity is a value shared by all communities, and that women across race and ethnicity are leading through philanthropy. The WPI Doctoral Dissertation Fellowship is for emerging scholars who focus in the area of women’s philanthropy or gender differences in philanthropic behavior. The fellowship is intended to support research and dissertation writing for those who are close to completing their dissertations. The Women’s Philanthropy Institute increases understanding of women’s philanthropy through rigorous research and education—interpreting and sharing our insights broadly to improve philanthropy.